So finally I’m able to participate in a contest and yes, all the credits goes to Rads. 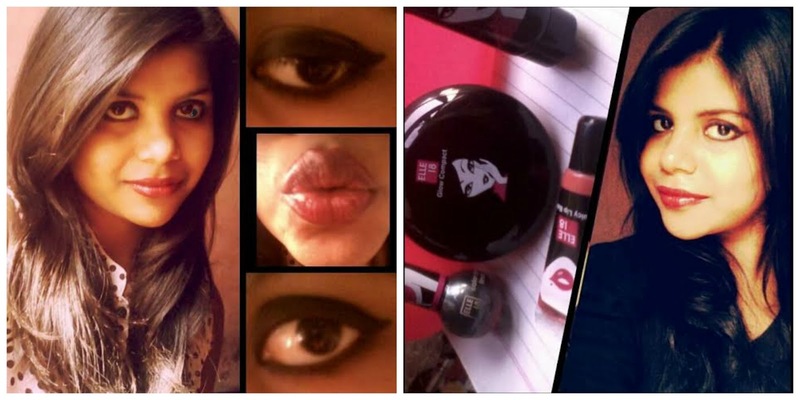 She encouraged me to participate in a makeup contest in which I’m really nervous to do. I've mentioned it many times that I’m not that good at makeup and still, still and still learning from my fellow bloggers. Thank you, Rads for your encouragement. 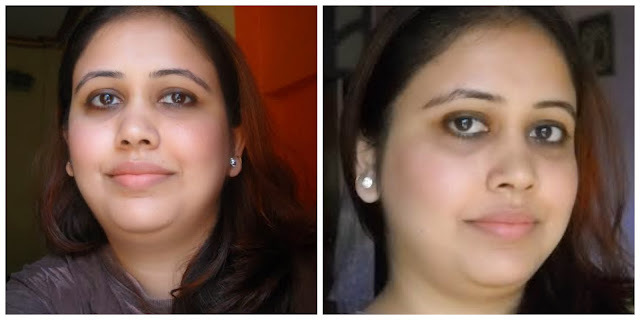 product but still this look can be easily achieved in just 5 min. 3. Blush was a gift from my office friend. 7. VOV soft matte lip cream. 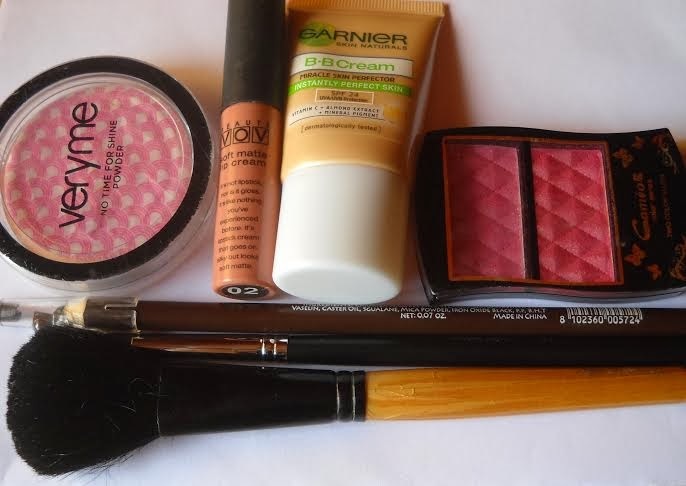 If you have only 5 minutes you cannot use tonnes of products on the face.I begun with using a Garnier BB cream all over the face and then used the Oriflame compact powder over the top because my T- zone is oily. I used a baby pink blush just to add some life to the cheeks. I used a brown pencil eye liner and then smudged it with the smudger brush. I finished the whole look with a natural soft matte lip cream which is neutral in color. It's impossible to see any spots so well done! Great make up, sweety! All r looking pretty. . I am certainly enjoying reading all the the different entries. All of them are stunning with their own set of beauty.